Unusual Assignments | James Real Estate Services, Inc.
James Real Estate Services provides established expertise and a full-spectrum approach to real estate consulting which invites participation in many distinctive assignments throughout the Denver metro region. On a larger scale, JRES is proud to support a sustainable approach to growth that includes workforce development, transportation development, and community involvement alongside economic investment. For business owners and real estate developers, JRES also provides experience assessing and appraising a wide range of properties in a number of economic situations. JRES recently researched and analyzed retail, office and apartment market conditions to inform recommendations for urban design by Torti Gallas and Partners, an international architecture firm nearby the proposed commuter rail Westminster Station of the FasTracks mass transit system being built by the Regional Transportation District. 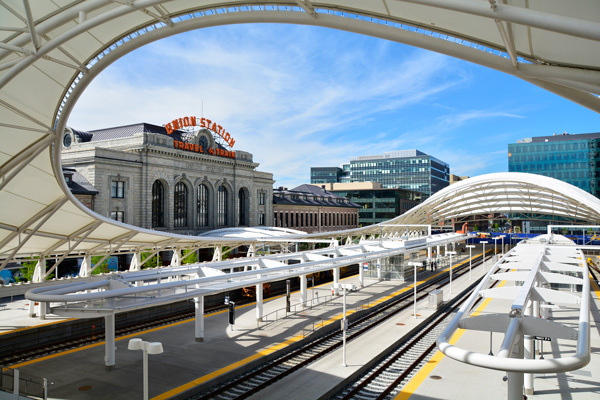 The Denver Regional Council of Governments engaged Torti Gallas and Partners as a part of a Sustainable Communities Initiative study of the vicinity of Westminster Station. The Sustainable Communities Regional Planning (SCRP) Grant Program of HUD is a locally-led collaborative effort that brings together diverse interests from the many municipalities in a region to determine how best to target housing, economic and workforce development, and infrastructure investments to create more jobs and regional economic activity. JRES formed a team which advised a city and urban renewal authority as they negotiate a master developer agreement for redevelopment of a large site in the Denver metro area. Consulting included review of pro-forma development projections by the developer and advice regarding the structure of the development agreement. JRES worked with engineers, land planners and government land use/entitlements personnel to advise the owner of a large parcel of land in the Denver metro area regarding the highest and best use of the property to inform decisions regarding potential sale of the property. Based on research and analysis of the physical and legal potential of the property by other advisors, JRES is analyzing the highest and best use and market value of the property. JRES conducted a seminar for real estate lending personnel at a local bank recommending procedures for appraisal engagement and review, and loan underwriting in the current federal banking and real estate appraisal regulatory environment. The content of the seminar included basic real estate appraisal principals, procedures and methodology. JRES recently analyzed the highest and best use, and appraised a large land parcel on the edge of a small Colorado rural town (which if developed would increase the size of the town by several times) to assist in determination of a potential sale price of the land parcel. JRES recently appraised the entire portfolio of land parcels within a Metropolitan District on the edge of a Colorado medium size town including bulk land and finished individual sites with a variety of permitted uses ranging from single family residential to commercial. JRES recently appraised four major Colorado manufacturing facilities to assist in determination of property tax assessed values. The assessed values were adjusted without litigation. JRES recently appraised prescriptive easements used by irrigation water ditch companies on three properties to assist in resolution of disputes related to discovery of those easements by property owners. In one case the property appraised included several partially developed multifamily buildings on the land. Bill James recently served as an arbitrator in resolution of an appeal of the assessed value of a major bowling center in the Denver metro area. JRES recently managed the appeal of the assessed value of a gaming property in a Colorado gaming city. The results of the appeal included return to the property owner of a portion of previously paid property taxes. JRES recently appraised the replacement cost of buildings at two major country clubs in the Denver area to assist in the determination of the amounts of casualty insurance coverage. Bill James recently served on a panel of commissioners which responded to a legal request by a minority owner of a medium size apartment complex to partition the property “in-kind” or geographically to settle a dispute between owners. The commission recommended against partition and the court agreed. JRES recently appraised a large aircraft hangar on a former US Air Force base which is now used as a major aviation history museum. JRES has appraised numerous aircraft hangars and other airport properties, often located on leased land. Bill James recently served as an expert witness for the disputed allocation of an award of just compensation resulting from an eminent domain acquisition of a portion of a retail property in Denver. The court found for the JRES client. JRES recently appraised several land parcels adjacent to existing and proposed light rail and commuter rail stations to assist in determination of potential sale prices. JRES recently appraised several single family residences to determine property owner compensation resulting from title policy exclusion of easements and other components of properties. JRES recently appraised several properties occupied by marijuana dispensaries, both medical and recreational, and several marijuana “grow” operations. JRES recently appraised and conducted market studies and Rent Comparability Studies of several HUD subsidized apartment complexes in Colorado, and North and South Dakota. JRES recently appraised a large retail, office and apartment building in central Denver which was formerly a hotel and is used as HUD subsidized single-room-occupancy apartments. JRES recently appraised a large bus terminal in central Denver. Bill James helped establish and serves on the Board of Directors of Transportation Solutions, a non-profit transportation management association serving the southeast Denver area. Bill James serves on the Steering Committee of Denver Shared Spaces, a subsidiary of Radian. JRES recently conducted detailed market studies of and appraised three major shared commercial space or co-working facilities in the Denver metro area. To speak with an expert in unusual assignments, please call 303-388-1100 or fill out our contact form.